BRACE - "Live at Skronk"
Horn-swoggler Ollie Moore and kit crusher Aidan Searle team up as jazz-flinging, note-hurling mod gouls, Brace. Live at Skronk sounds like it was recorded in some dimly lit hole-in-the-wall free jazz establishment, in the basement of an abandoned bar at the epicenter of the 'jazz only' part of London. Brace produces the kind of mind trip one goes on once they've been drugged by the bad guys in a cheap gangster movie. Long passages of angular, collapsing jazz cascade at the listener - a calamity brought on by furious, cave-dwelling percussion and more hornwork than this reviewer can keep up with. How many people are on this record? Supposed to be two - sounds like a whole outfit. One can hear saxophones, clarinets, even melodica weaving in and out of this jazzy overgrowth. There are points at which the music departs from the natural world and swims through the dark and murky ethers of the spirit plane. The horns echo eerily as they undergo some sort of dimensional shift, the drums multiplying themselves into a cacophony of mangled rhythms. These stretches of metaphysical entanglement elevate the vibrational fever of the recording to uncharted levels. While avoiding abject abstraction, Brace is certainly able to let some mess hit the fan, while braiding together a sonic whirlwind like a tumbleweed of audio artistry. If you walk the be-bop path of free jazz - put Live at Skronk on your radar. In today’s world of empty consumerism and material excess, it’s easy to feel rudderless without any real sense of purpose or meaning. It’s easy to feel like a A Door Without A Handle, A Clock Without A Face, A Car Without A Steering Wheel. The above track titles from the Muteant release of Michel Kristof and Vinnie Paternostro are pithy metaphors for the hollowness and absurdity of the times we find ourselves in. It’s not just the song names though; A Place You Could Not See. A Time You Did Not Know. is a perfect sonic encapsulation of the baffling absurdity of our modern predicament. An analog synthesizer in lockstep with a drum machine creates a thick and impenetrable phalanx of industrial brute force as harsh and unrelenting as the jackbooted thud of dystopian police. A guitar, which cannot stand against such an unfeeling and inorganic onslaught, is stomped on and beaten beyond any recognition into an effects-ravaged mess of atonal squawks and screeches. Michel Kristof and Vinnie Paternostro are genuine articles of the Muteant brand with a truly weird and experimental sound. Click the link below and wallow in the nihilistic absurdism. 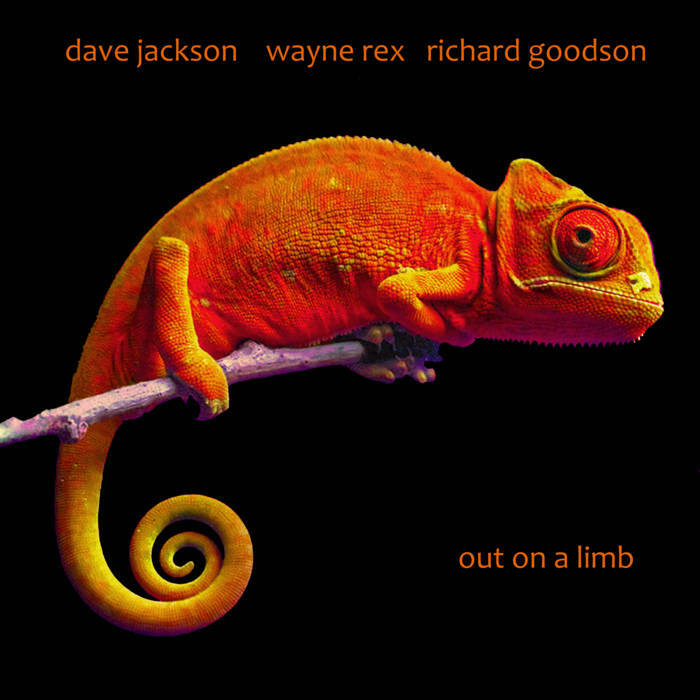 WAYNE REX, DAVE JACKSON, & RICHARD GOODSON - "Out On a Limb/ Something I Can't Explain"
Wayne Rex, Dave Jackson, & Rich Goodson - "Out on a Limb/ Something I Can't Explain"
Many musicians when they improvise stick with their known repertoire of riffs and licks, reticent to venture out of their comfort zone for fear of ruining the groove. Not so with drummer Wayne Rex and alto saxophonist Dave Jackson. They take avant-garde jazz and push it to extremities that challenge and startle the ears with their volatile fluctuations between ferocious intensity and pensive broodiness. Out on a Limb (which is the main album of this double album) is a colossal understatement of album titles. This sonic sprawl takes you on a tightrope across a gaping chasm where one misstep will send you falling endlessly into the bottomless void. For fear of your precious sanity, you shakily keep your balance desperate to make it to the other side. All the while, the void below talks to you in the surreal spoken word of Rich Goodson who peels back your psyche layer by layer to reveal that at your core you are still nothing more than a frightened child, pathetic and scared, cowling in the corner haunted forever by a cruel grandmother, a cold and distant father, an unattainable ideal of masculinity. Just as your body reaches its breaking point of balance, your next tentative step forward finds solid ground. The music has ended with a final squall of the saxophone, a final fill across the toms. The recorded applause of the audience snaps you out of your hypnagogic state. You are safe in your own skin again, and it may be a long time before you give Out on a Limb another spin. However long you wait though, the void will be waiting. The bandcamp link is below whenever you are ready to plunge back in.